The 10th national park to be created, “Glacier” received its name from its glacial-carved valleys and the from the large number of glaciers present in the area. In the mid-19th century there were more than 150 glaciers contained within the park boundaries. Today, with the global warming debate still in full swing, the park has less than 30 glaciers and is expected to have no remaining glaciers by 2020. 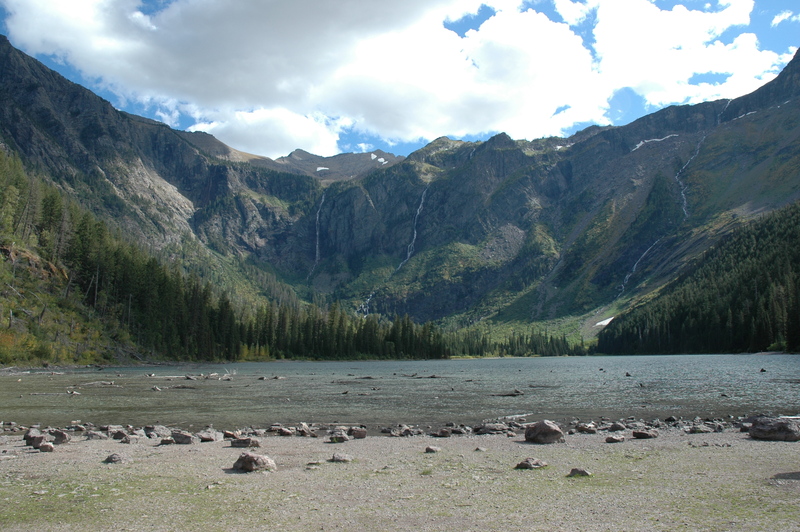 During our one day there, we hiked up to Avalanche Lake, a glacier fed lake on the west side of the park. Standing at the foot of this lake, it definitely made you think. What will these places be like in 10 years once all of the glaciers are gone? Avalanche Lake - the four small waterfalls on the ridge are from the glacier hidden behind the ridge.